The normal price for this would be for Adults £950.00pp including transfers but we can offer a discount for early booking of £100.00 so the price will be £850.00. Our chalets are both located 600 metres from the centre of Morzine with the free ski-bus stopping IN the driveway taking you to the slopes within MINUTES, very handy for families as the bus takes you from the front door right to the slopes! Super Morzine (access Avoriaz and Switzerland) then Pleney for Morzine, Les Gets and Nyon. In the evenings (after 8pm) you can easily walk into town within 10 minutes. Ski locker also available at the Pleney for 10 euros per day...if you like to wander around town after ski-ing for the New Year festivities /fireworks etc, great range of slopes for you! Christmas week is 10,995 pounds catered for 12, for 8 we will reduce to 8,995. Tailored three or four course mouth watering evening meals. All served with carefully selected wines, beer and soft drinks. (With two nights set aside for you to enjoy the local restaurants). Yes we have availability for those dates. 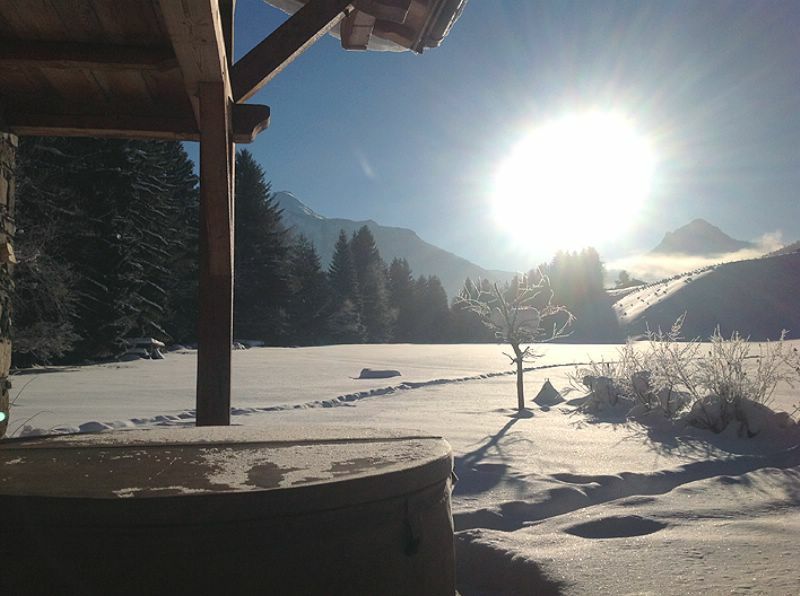 Please check out our website for full details of the chalet and services in our luxury catered farmhouse chalet situated between Chatel & La Chapelle d'Abondance in the Portes du Soleil. All our beds are adaptable single/double to your choice, our service is provided personally and to a high standard by ourselves having had 14 years in chalet hospitality. Transport to an from the slopes. I can offer catered chalet accommodation in La Tania (3 Valleys) for your New Year holiday. Chalet Tania has 4 ensuite bedrooms. It has a comfortable open plan lounge and dining area with log fireplace and great views. There is wifi internet and it is conveniently located approx. 100m from the piste and village centre. We do have availability this coming New Year 2019 in our lovely Chalet Etoile de Foret right here in Sainte Foy which is a minutes walk away from the first chairlift, ski schools, spas, bars & restaurants. Hope this is something that interests you. I’m pleased to say we can accommodate you in style in stunning chalet Ferme du Ciel – our ‘Farm in the Sky’. We welcome you to spend your New Years ski holiday with Alpine Action Adventures next year. My husband and I have run Alpine Action Adventures for the last 6 years and we have had nothing but 5 star reviews from our guests. 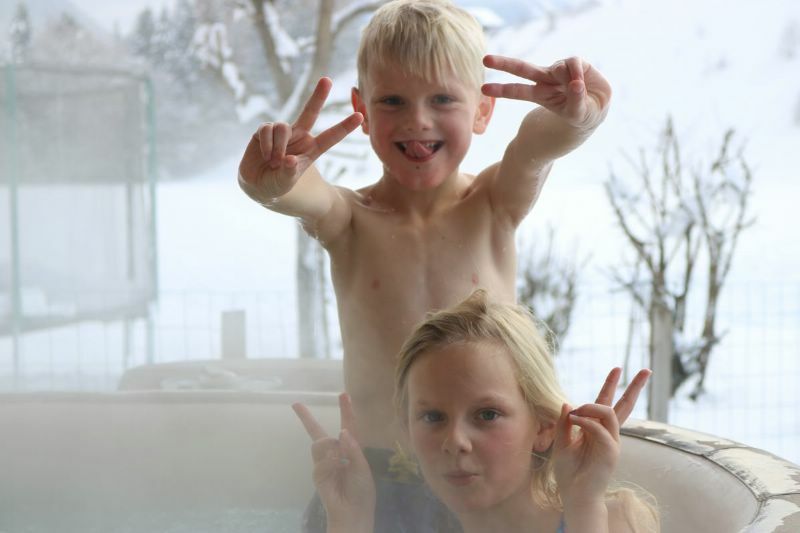 We provide a place that feels like home with all the special treats you expect from a ski holiday. Food - Six nights of delicious 5 courses with canapes and drinks to start and all your wine, beer and bubbly is on us during dinner. Breakfasts are extensive with all the family favourites to set you up for the day. When you return each day there will be afternoon tea & cakes or hot wings and beer one day if you are so inclined (our fave!). The price for sole occupancy for the week is 7500€ (c.£6385) with a 20% deposit to hold your booking. Please check out our pictures and info then pop us a message to sort out the details. 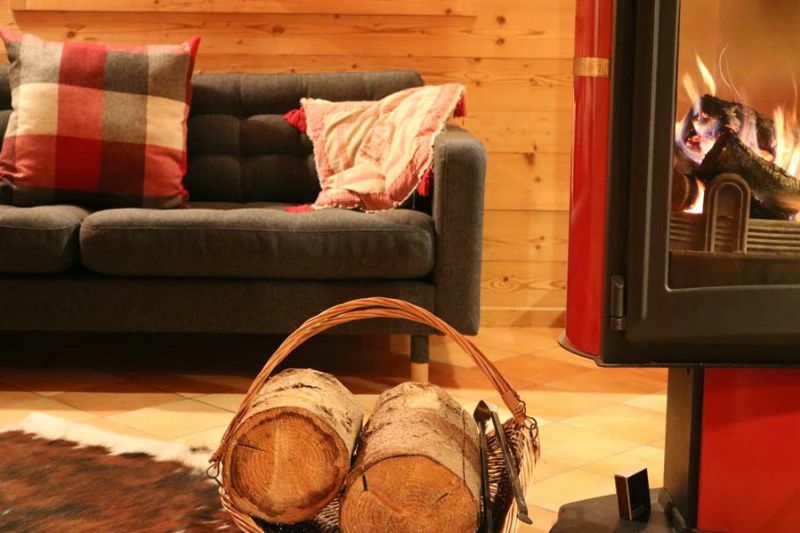 For 8 intermediate skiers, chalet Sebastien is ideal. £6056 for 8 people. LOVELY CHALET- Spacious chalet, 4 bedrooms rooms, open plan dining room and living room and games room. ski area 1600-2700m, good range of mixed ski runs, excellent for intermediate skiers. Catered week, 7 nights, adult stay, January, £ 450 person/ week. Price offer is with NYE late to midnight dinner. Children 5 to 12 years of age, have a 15% price reduction. Our Villa in the French Pyrenees is available for New Year 2019 / 20. We could offer 7 nights catered for 625 € per person based on 2 people sharing one of our spacious en-suite bedrooms. We offer discounts for more than 2 people sharing a room, under 12's and groups of 8 or more people. We have 5 bedrooms in total, all are en-suite and 2 are family suites that can sleep 4 & 5 people respectively. We'd be happy to help arrange Airport Transfers from Toulouse or Tarbes / Lourdes Airports with our local supplier. Your stay here would include breakfast every morning with a hot option, afternoon tea upon your return to the chalet each evening and a 3 course evening meal with unlimited house wine on 6 nights out of 7. Price for sole occupancy is €10999 fully catered. Our chalet would be perfect for your group as it is family friendly. We are 5 minutes from the lift and offer private shuttles to and from the slopes daily. We work closely with a local ski school who are English speakers and have an excellent reputation. We include breakfast, afternoon cakes, children's supper and a 5-course evening meal for adults (with wine included, the wine is paired with the meal and selected by our personal sommelier).